Jim Watzin, head of the NASA Mars Exploration Program, said: "The MAVEN spacecraft has done extraordinary work in providing other important scientific insights into the evolution of the Martian climate." In the past, MAVEN has been asked to forward signals from NASA Curiosity Mars, but to help complete the upcoming Mars 2020 mission, NASA will bring it closer to the Martian surface and improve its ability to transmit signals. 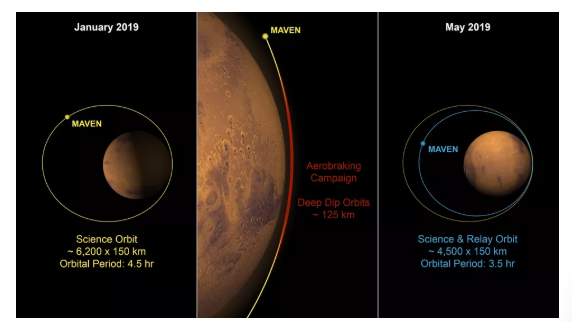 The new track places MAVEN within 2,800 miles (about 4,500 kilometers) from the surface of Mars, increasing the frequency of the spacecraft orbiter from 5.3 turns to 6.8 turns per day. 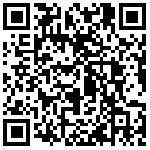 This will allow it to check any Mars rover more frequently. In order to enter the new orbit, NASA will use the Martian atmosphere, and the atmospheric resistance will cause the aircraft to slowly decelerate each time it bypasses the red planet. Submerging to Mars for about 78 miles will put MAVEN into the position to prepare for the landing of the new Mars probe while still performing its scientific mission to study the Martian atmosphere. NASA will conduct an aviation braking campaign in the next few months to tighten MAVEN's orbit and prepare for the Mars 2020 rover landing. The planned 2020 rover mission will see a brand new robot at Jezero Crater looking for signs of life. Jezero used to be a site of an ancient river delta, so it has the potential to preserve traces of ancient microbes in the soil. The Mars will also be equipped with 23 cameras and a set of scientific instruments for measuring the atmosphere, geology and finding water. NASA also plans to launch a helicopter-like drone as part of the rover payload. The European Space Agency will also send their ExoMars Rover rover to the Red Planet in 2020. On February 7, the agency announced that ExoMars Rover will be named after scientist Rosalind Franklin. This rover may land on the Oxia Planum, a plain rich in iron-magnesium clay. However, due to the smooth running of the mandate, Red Planet will welcome two other robot "explorers" next year, joining NASA's Curiosity Detector and InSight Lander.